There are few words to describe the feeling of looking down at thousands of generic white crosses inscribed with names of men who fought and died for your country. These are men who would never return home, would never hug their mothers, make their fathers proud, rough house with their younger siblings. Never find love, get married or have children of their own. Men like these gave the ultimate sacrifice to protect what they believed in — a chance at peace and a free country. 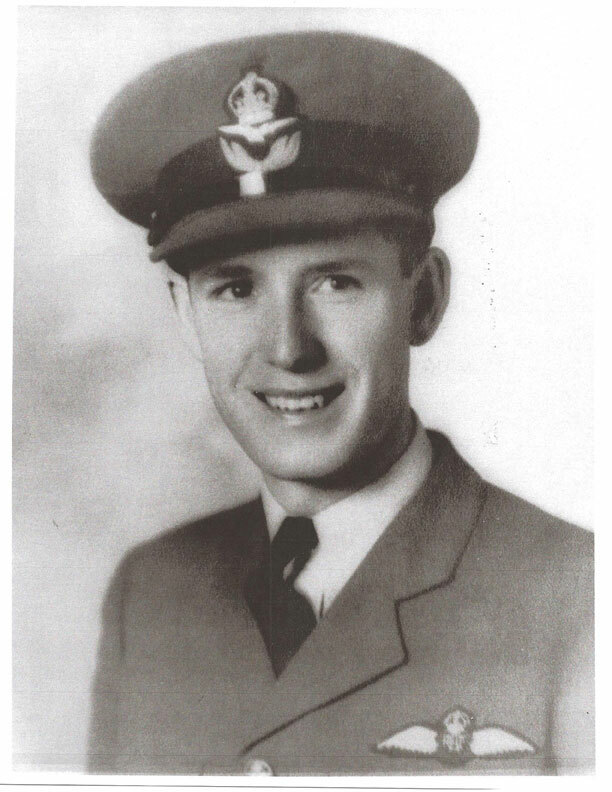 A man like this was my Great Uncle, Jack “Buzz” Cawsey. A beloved son, brother and a family member I only get to see as a name on a makeshift cross on Memorial Drive. Every Nov. 11, I bow my head for those short two minutes and thank those who died so I may live in peace. I thank my family’s sacrifice and my Great Uncle and Grandfather for doing something I can say I don’t have the guts to do. However, many of my peers have clearly shown disinterest with this day or have forgotten about it altogether. I remember back in grade school being shoved into a stuffy gym to hear a veteran tell his story. I loved Remembrance Day assemblies because I have family ties to both World Wars. I knew the impact it had and how proud I felt to know there are heroes in my family. But this, unfortunately, isn’t the case for many Canadians today. Many people just simply don’t have ties to our country from the war eras or have a loved one in the army. Education is key, without events such as Remembrance Day; history has the potential to repeat itself. I’m not saying that another World War will break out because Canadians stop caring about our wars past and present, rather that we as a society can’t let these events slide and leave the efforts of thousands die with the last veterans. This is why I’m shocked to hear that schools are considering cancelling Remembrance Ceremonies all together. A simple Google search shows that this is an issue across the country. An overused excuse is that these assemblies glorify war, and encourage children to murder others for their country. In my opinion, the parents wanting these assemblies cancelled probably don’t support the wars going on now and/or are uneducated on the World Wars. Canada is losing its World War veterans to age, but that shouldn’t be a reason to stop remembering. Even if you have no ties, you’re living in a country where people died so you could be free. 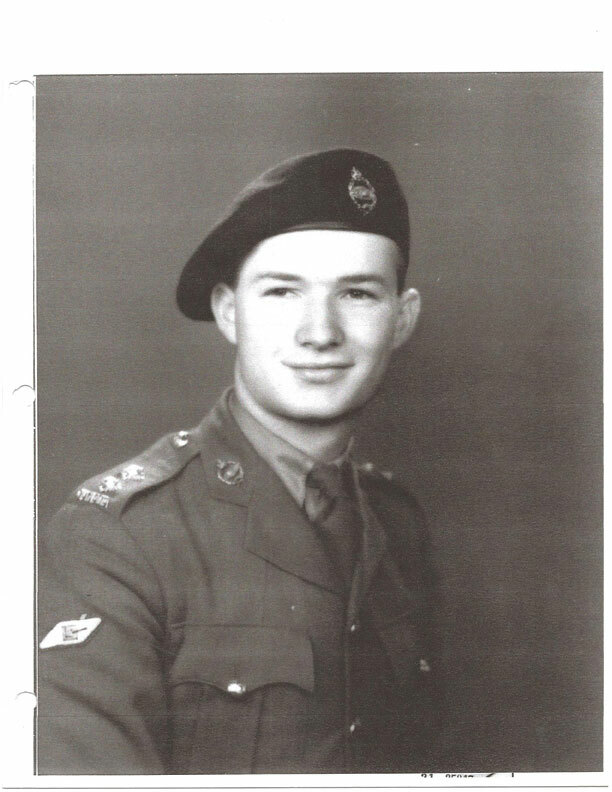 I’m biased because the Second World War is a part of me; I’ve seen many memorial sites, looked down on graves of soldiers younger than me and received thanks for simply being Canadian. I’ve stood on the same ground my Grandfather did over 60 years ago in Italy holding a Nazi bullet shell in one hand and a copy of his war journal in another. It is a fact that to several other countries, we are heroes and if that doesn’t give you an ego boost, you should get it checked. 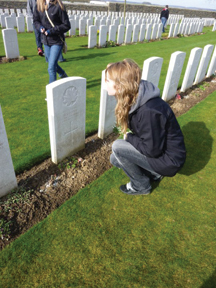 Canadians don’t usually get to witness a community coming together to clean the headstone of a 15-year-old casualty, or look at rows upon rows of graves everyday to remind them of a way over 65 years ago. We don’t get the chance to walk by a gated building where thousands had died because of one man’s vision. We don’t get lay flowers down and say thank you on a grave of a stranger every Sunday like many do over in Europe. Instead we sit down for an hour once a year and pretend we care. For me, this is heartbreaking because the lack of interest is slowly washing away part of our history as Canadians. Even if you don’t believe in remembering the World Wars, at least thank those who are fighting for freedom as Peace Keepers, soldiers and marines for someone else’s chance at freedom. I can’t force any of you to participate in Remembrance Day, go to the War Museum or sit down with a veteran and listen to their story. But you could at least take two minutes on Nov. 11 to thank a soldier for their efforts or listen to the “Last Post” to honour their bravery. Next story New diets: Are they bologna?